A 9-year-old girl from Ludington, Michigan, was driving a pick-up truck when she crashed it into a tree on Friday morning. 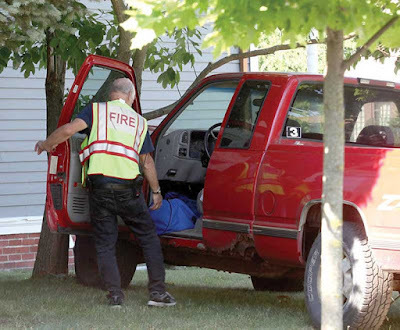 The crash occurred at 10:22am, when she lost control of the truck, a GMC. The girl was later transported to hospital, complaining of head and neck pain. 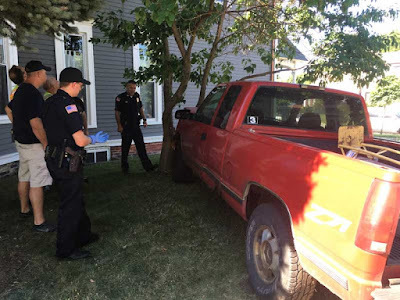 The girl reportedly took the truck from a nearby address, driving it about 100 feet before losing control and crashing it into the tree. The Ludington Police Department, Ludington Fire Department and Life EMS had personnel respond to the scene. A report has been sent to the Mason County Prosecutor’s Office for review.